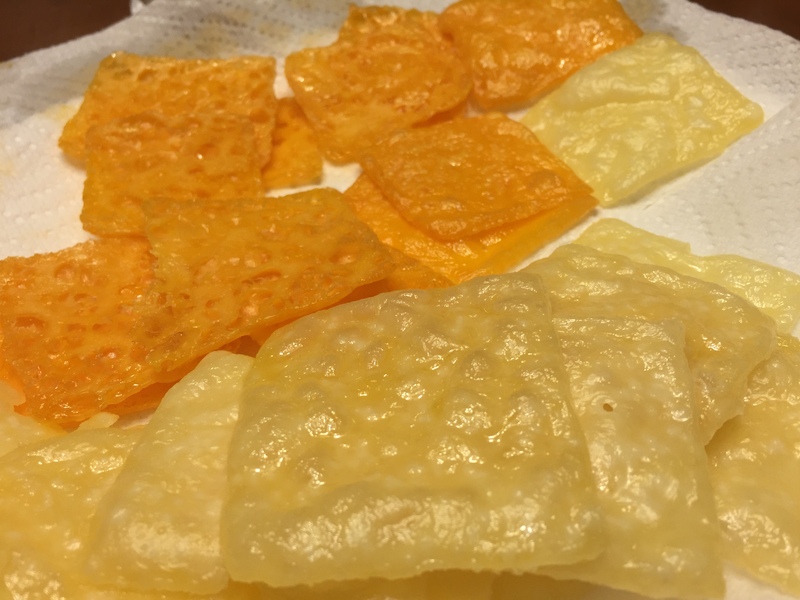 This entry was posted in Recipes, Snacks and tagged banting, cheddar, cheese, cheez-it, chips, easy, idea, keto, ketogenic, lchf, lite salt, low carb, mozzarella, reddit, snack, swiss by Jeff Levers. Bookmark the permalink. Do they need to be refrigerated for storage? To me they are dehydrated, so nothing to mold. Some chips I make are still slightly soft—refrigerate those?? My apologies for the late reply! These chips usually only last a day or so in our home so we keep them on the counter in a tupperware container. As for the chips being soft you might try baking them a little longer than the recipe calls for. Also placing them on a drying rack to cool dramatically speeds up drying. Good luck and thanks for commenting!